This has got to be one of my favourite trends in fashion as of late. Metallics! I love how you can just add a pair of metallic shoes and it changes the entire look. Or you can be head to toe metallic. I especially like the mixing of chunky knits & sweaters with metallic skirts. 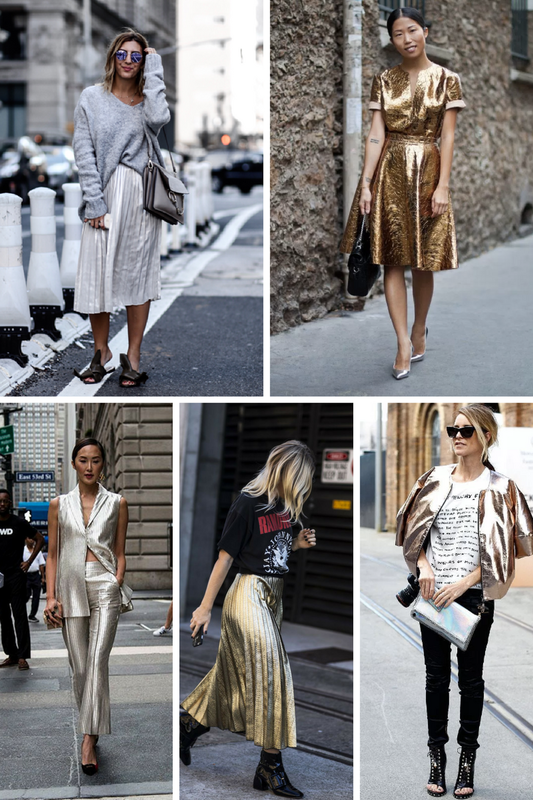 Metallics have been everywhere from the runway to street style. The best part of this is that you can invest in one good piece this season and style it in various different ways. A metallic dress is also a great option to wear to a holiday party. I have been eyeing this trend for a while, especially metallic shoes. I love the subtle hint of fun that a little pop of metallic on your feet can bring to your look.